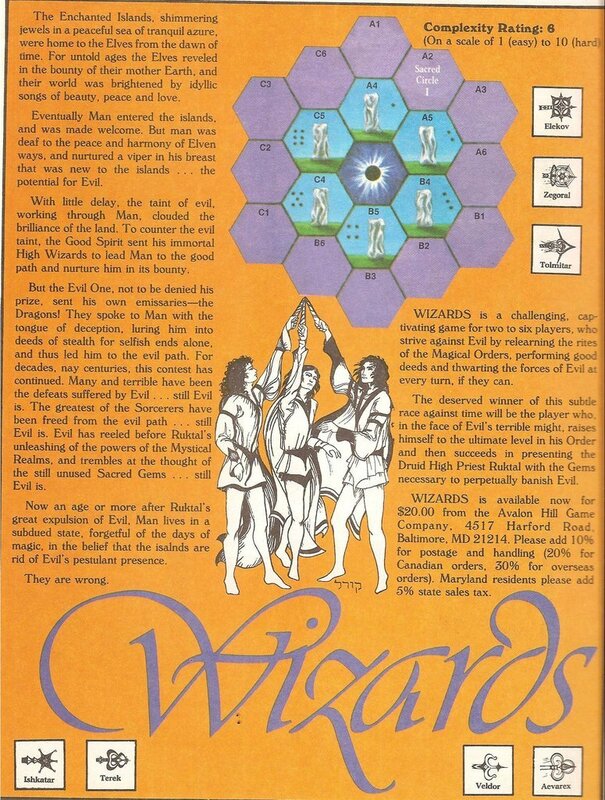 Although all the artwork for the game was created by Coral, the layout of the box cover was designed by Avalon Hill. 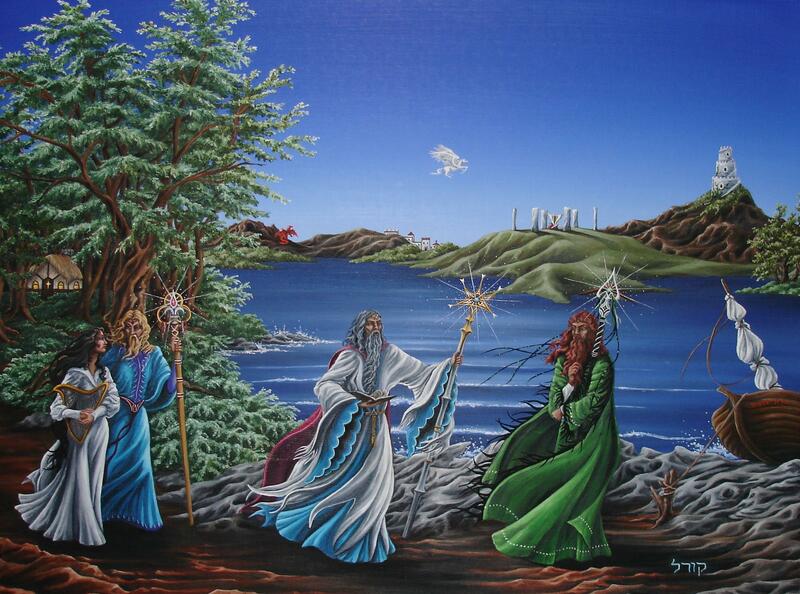 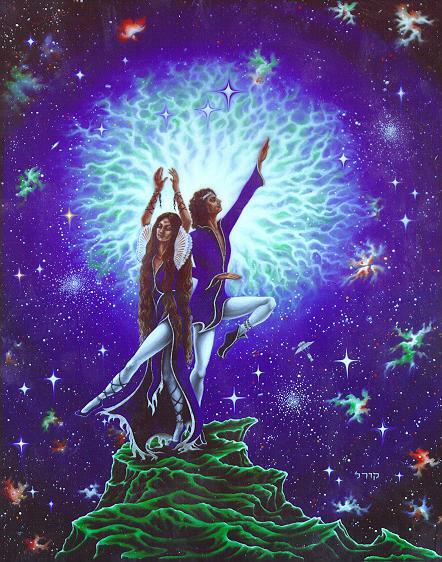 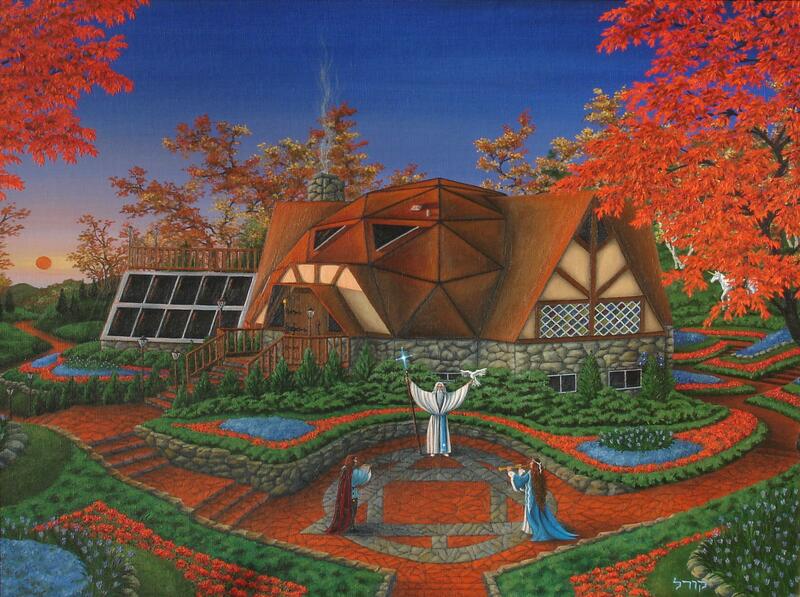 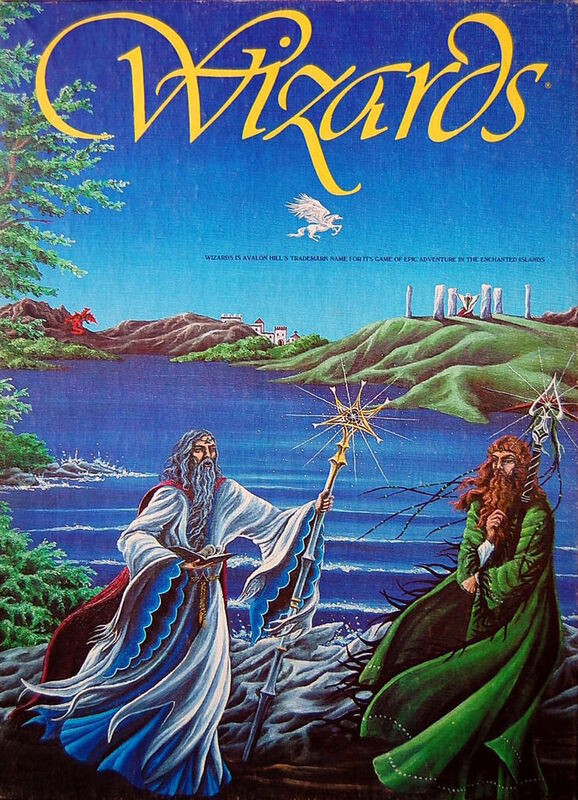 A portion of the "Wizards" painting was used for the front cover, with a different portion used on the side panel. 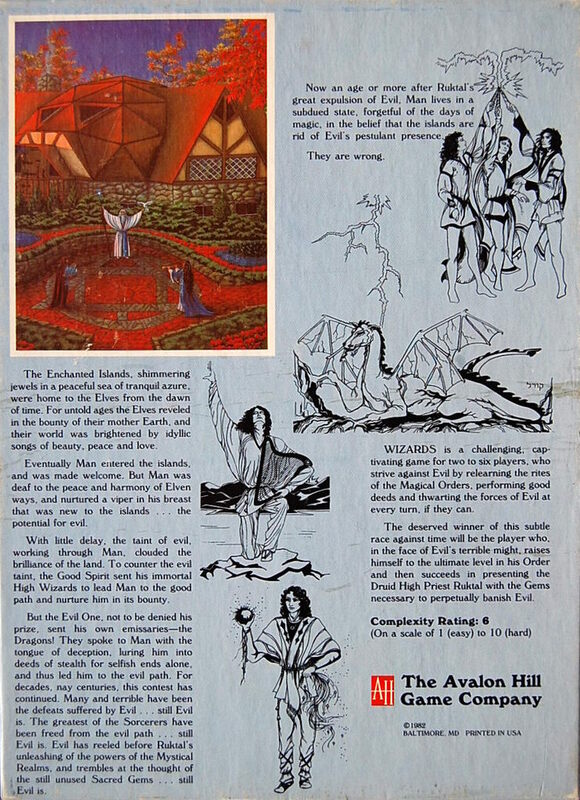 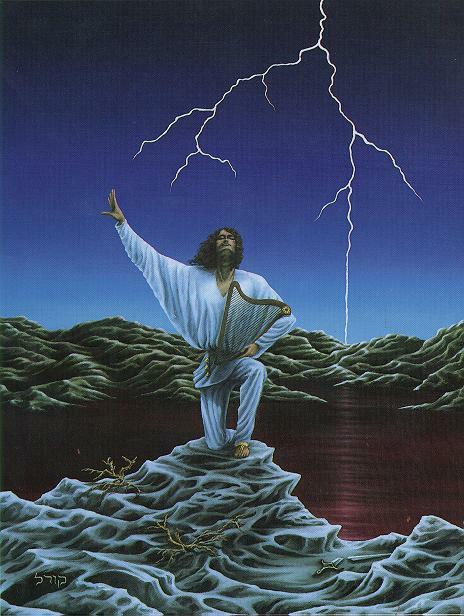 The back cover featured some illustrations from the rulebook, plus a cropped portion of the painting "The Calling". 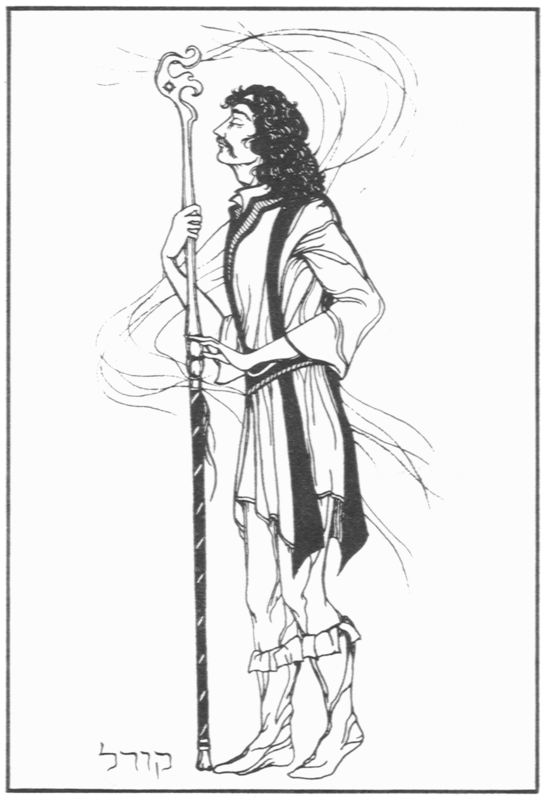 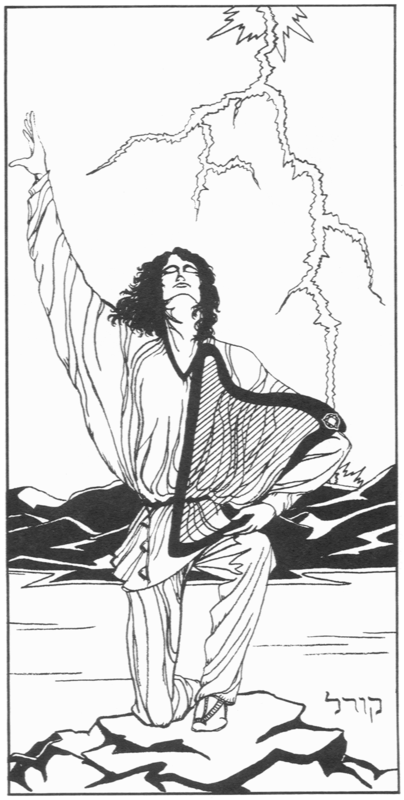 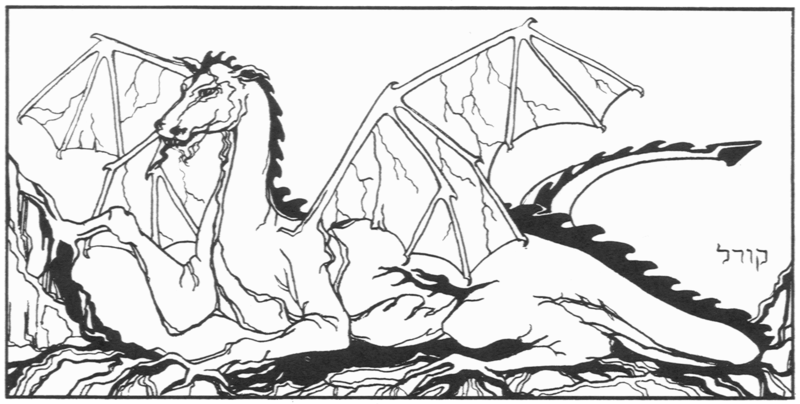 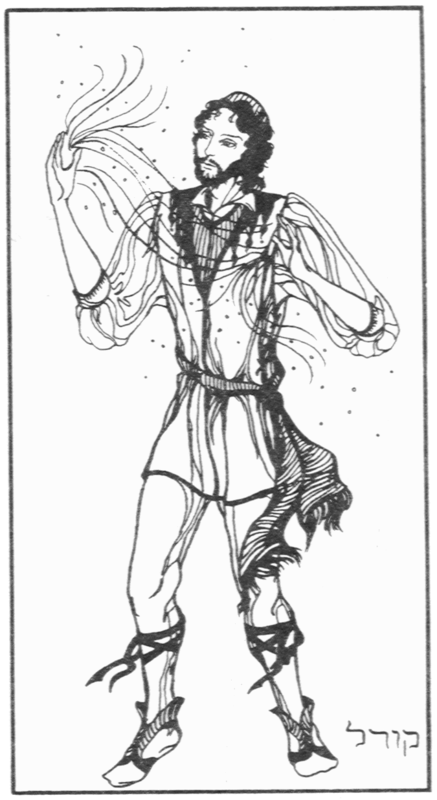 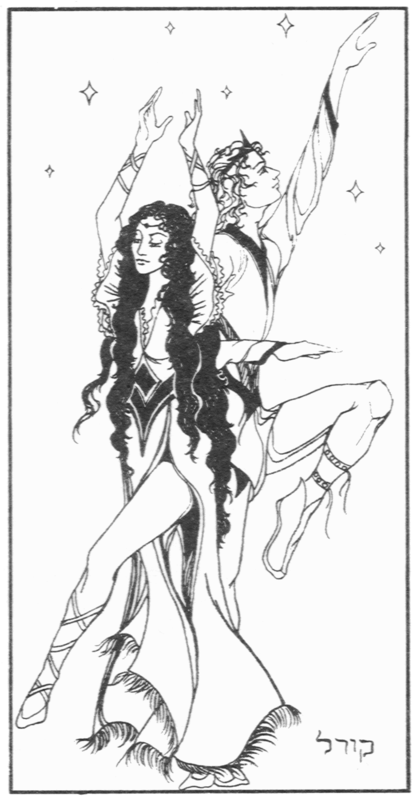 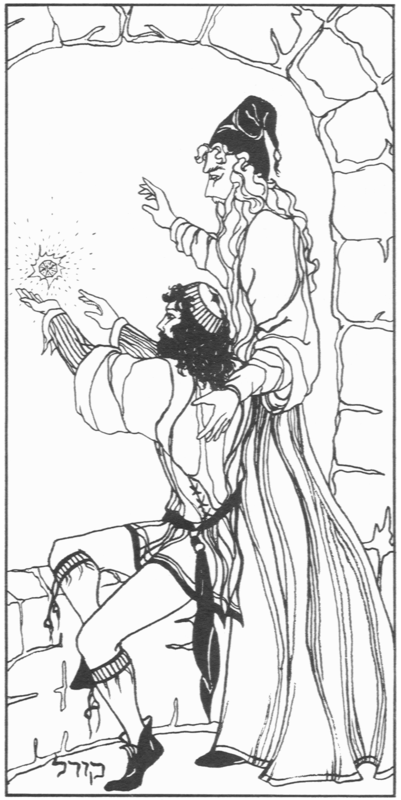 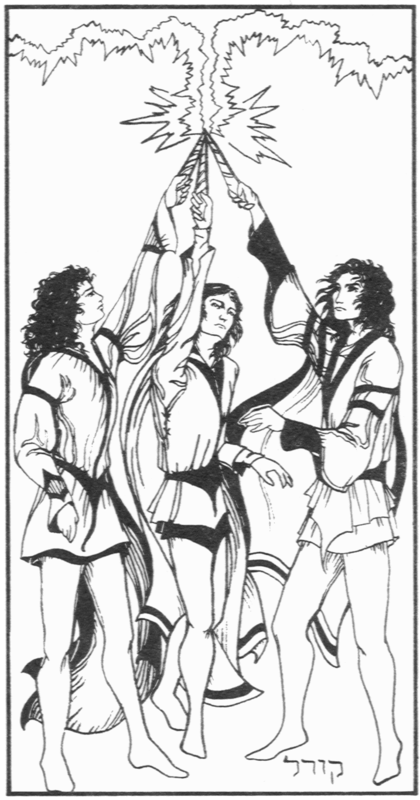 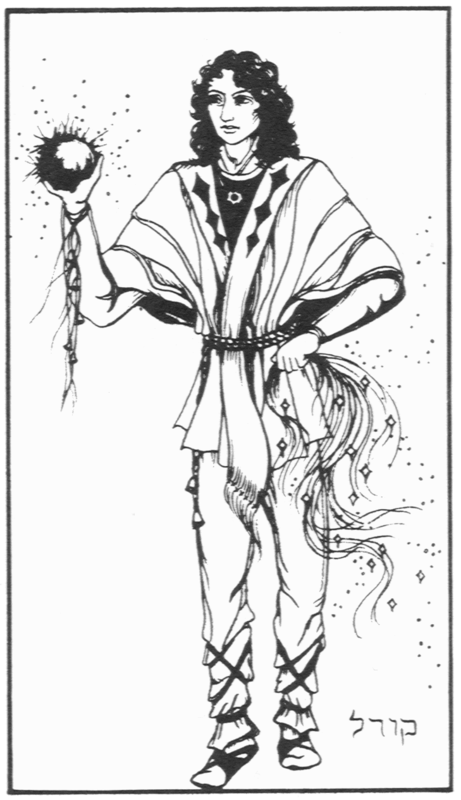 Two additional paintings not used in the game, "The Messenger of Hope" and "The Star Dance", were initially depicted in pen and ink form in the rulebook illustrations. 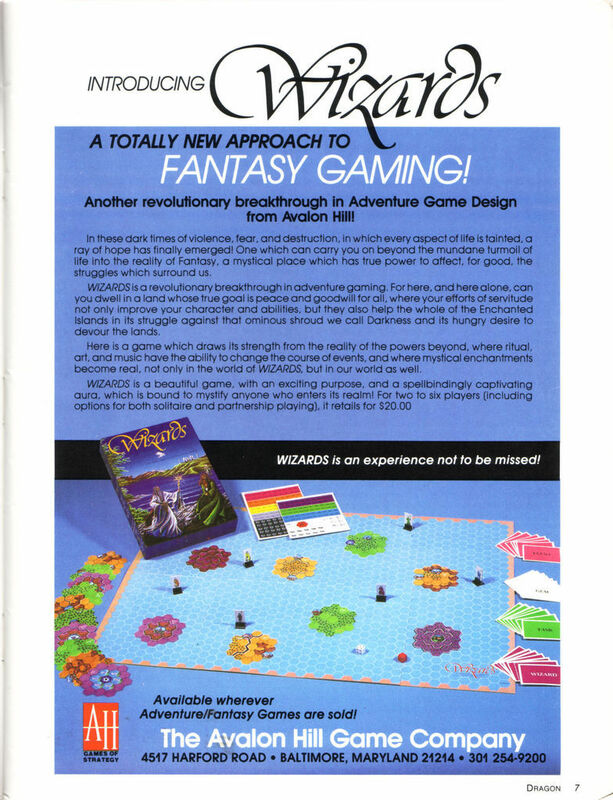 The animal illustrations (apart from the Dragon) were not a part of the original board game, but were created by Coral specifically for the Java Version of Wizards, programmed by a friendly fan, Robin Warren, in 2003. 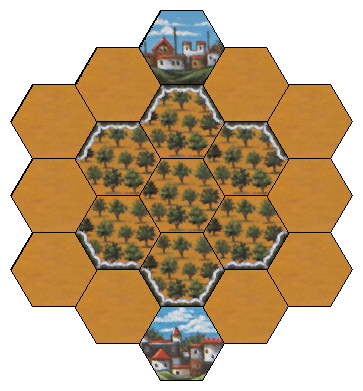 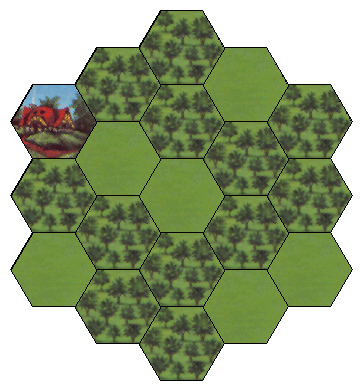 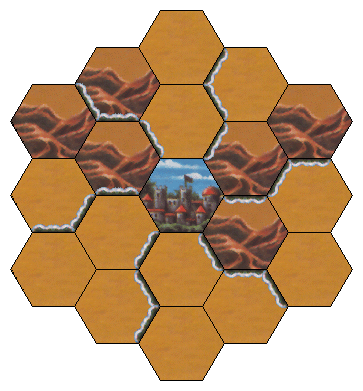 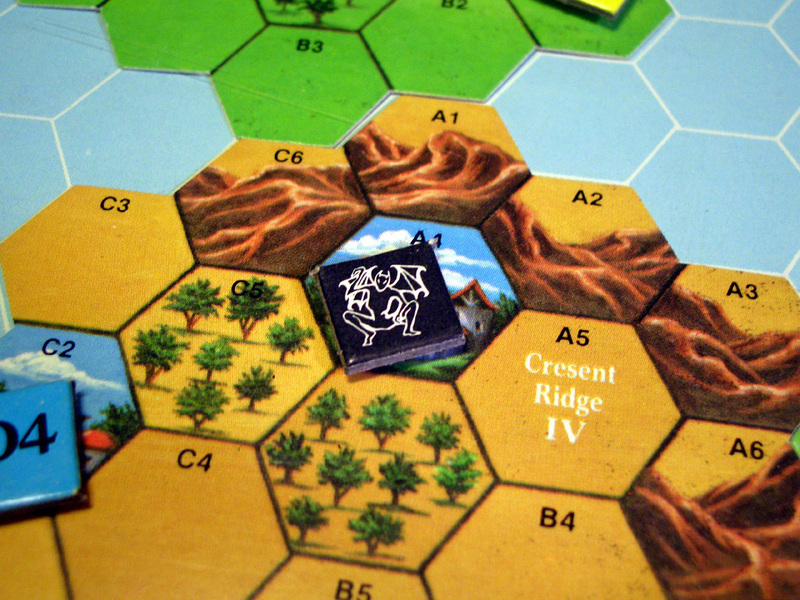 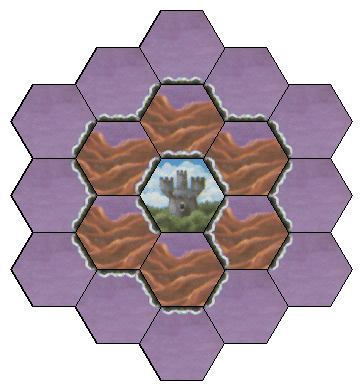 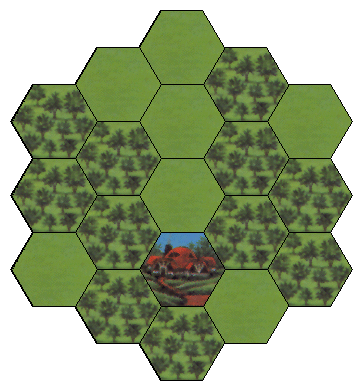 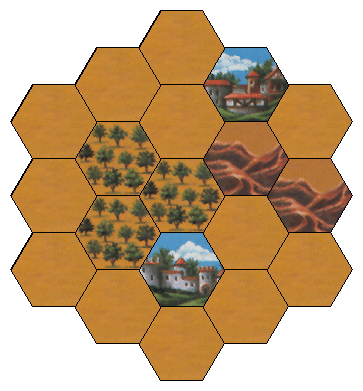 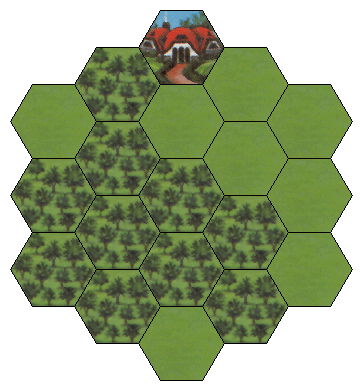 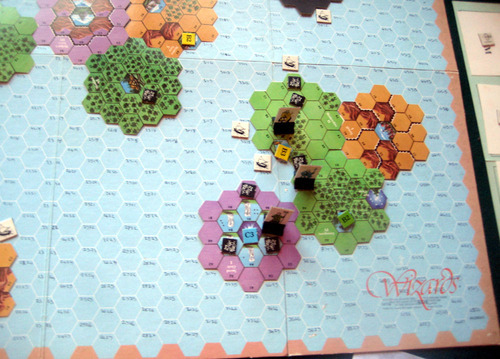 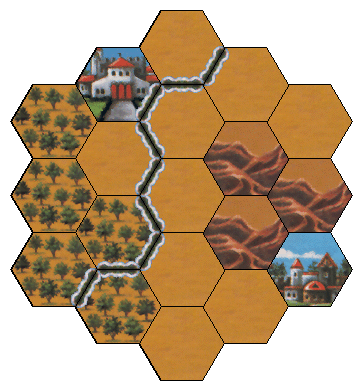 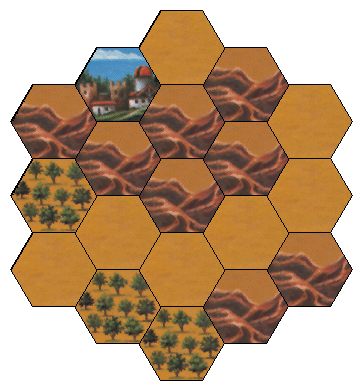 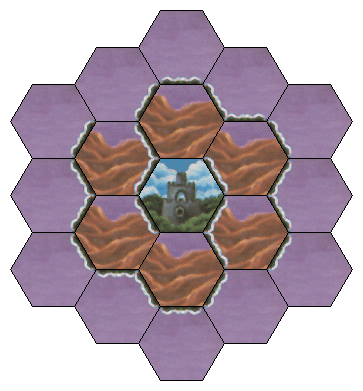 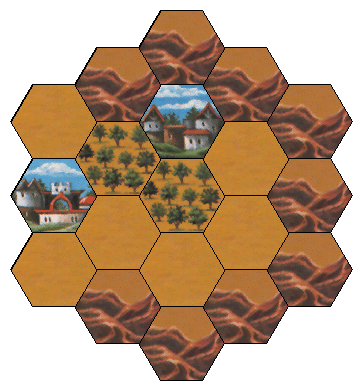 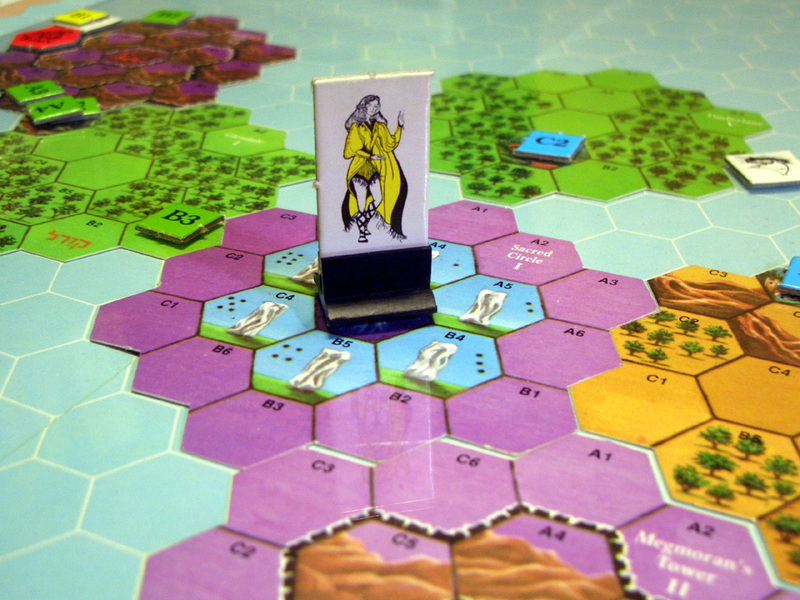 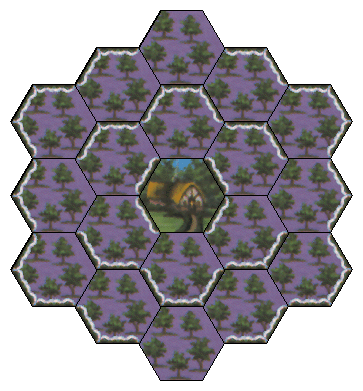 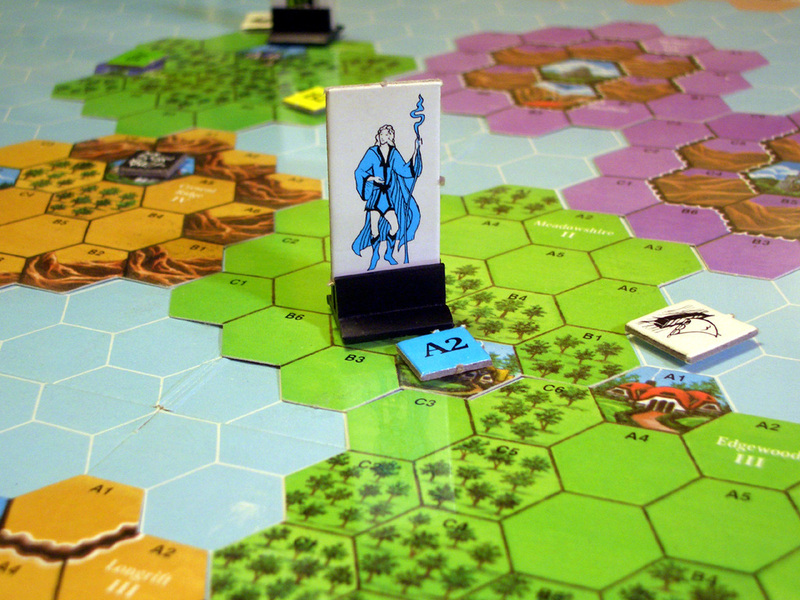 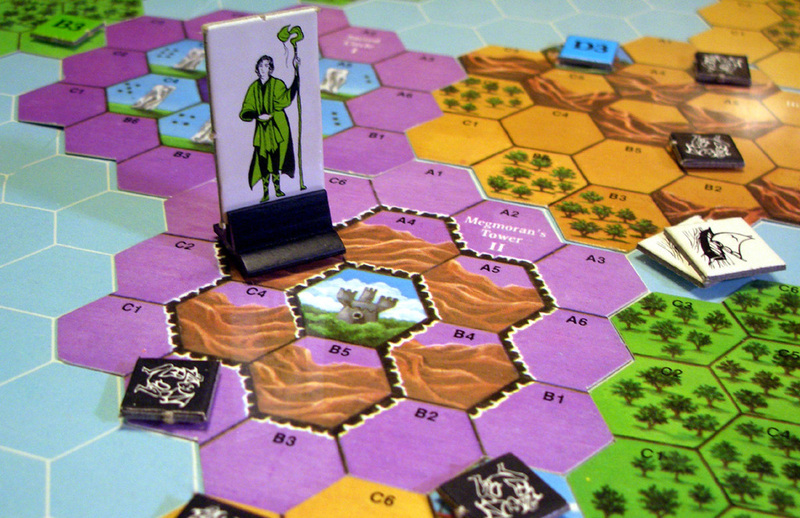 The representations of the territory tiles here are not of the actual original paintings (where each individual hexagon - whether woods, mountains, plain spaces, or dividing walls - was painted individually and uniquely), but of the somewhat stylised territories used in the Java computer version of the game, where all the woods, mountains, plains, and walls are repeats of one example. 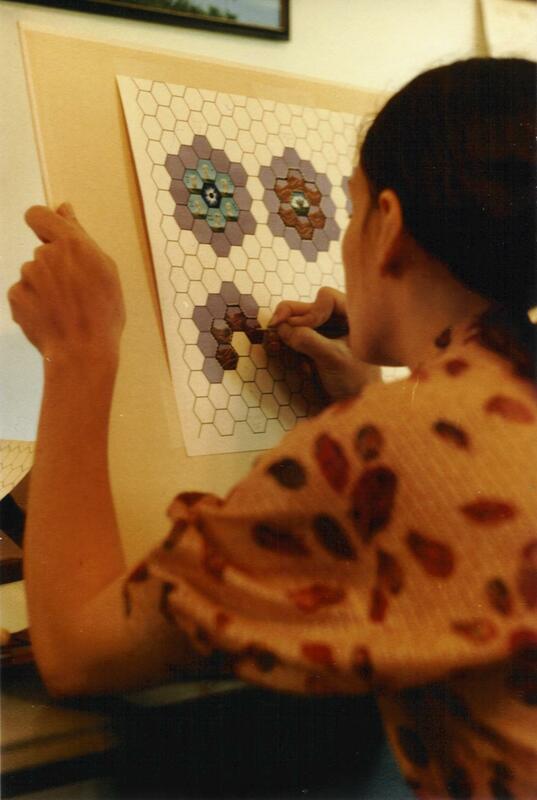 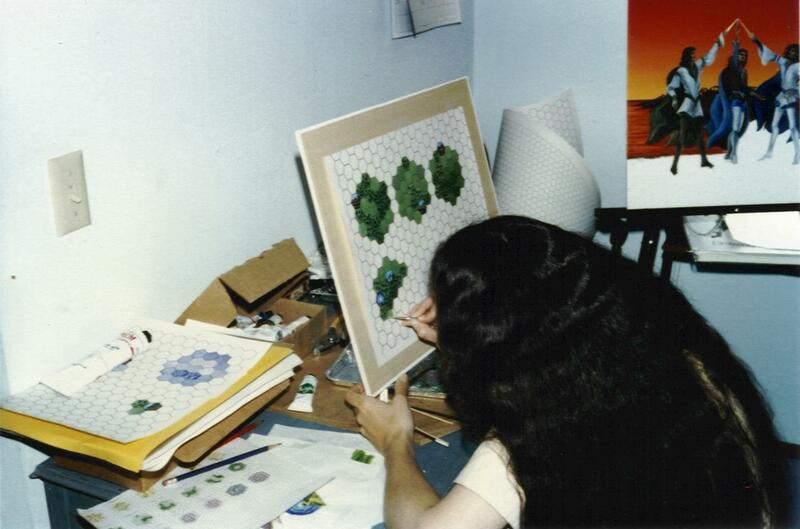 Indeed, the photos of Coral painting the tiles show that each hexagon of the board game was a unique, self-contained mini-painting, executed within the lines of hexagon-printed paper. 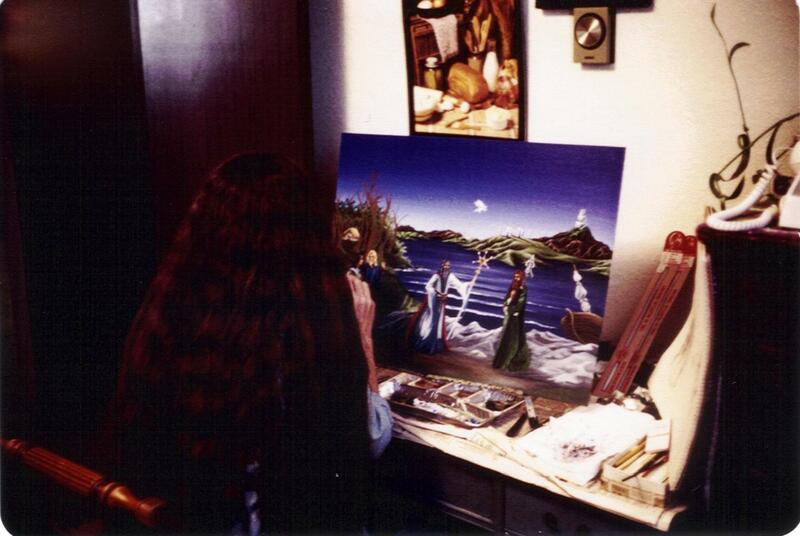 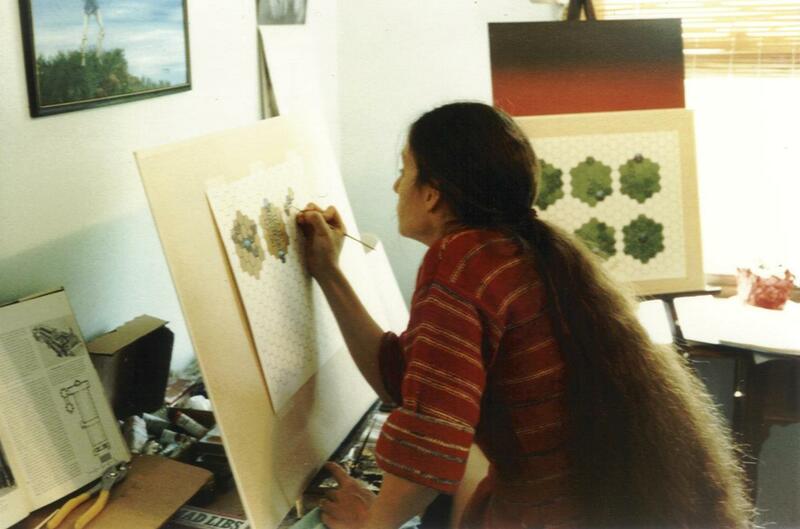 The photo of Coral working on the "Wizards" painting itself shows it in an early stage before the wind blew the clothing of Ishkatar and Tolmitar, before the trees had leafed out, and before the Dragon and the Common Town of Meadow Farm had appeared in the background. 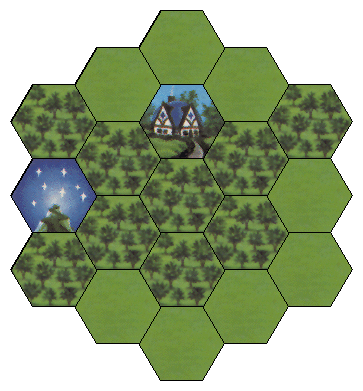 Fantasy boardgame - published in 1982 by the Avalon Hill Game Company. 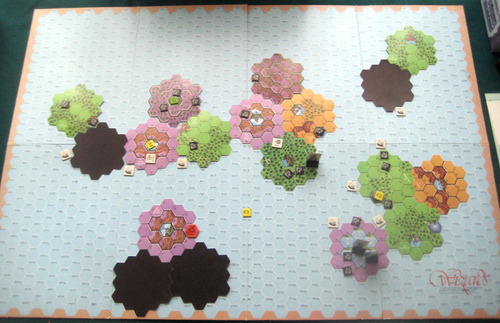 Game design by Coral J. F. Mosbø and Thomas J. Mosbø. 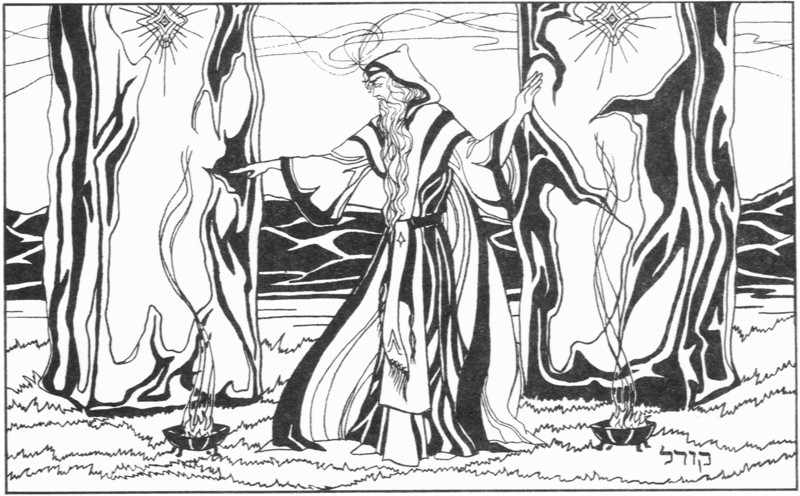 All artwork by Coral J. F. Mosbø.